Award-winning affiliate management expert Evgenii "Geno" Prussakov is the CEO & Founder of AM Navigator - a world's leading OPM agency. As an affiliate program manager and consultant he has contributed to the online marketing success of Forbes, Nokia, Hallmark, Warner Music, Skype, Forex Club, and hundreds of small businesses. 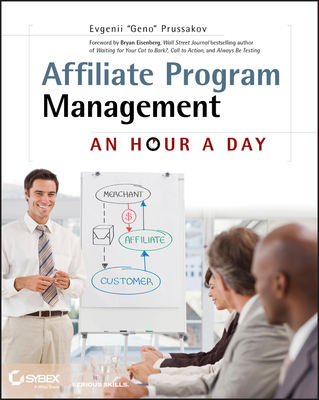 Prussakov has authored "A Practical Guide to Affiliate Marketing" (2007) and "Affiliate Program Management: An Hour a Day" (2011) which have trained thousands of marketing professionals. In 2011 for influencing "change within the industry" LinkShare named him one of Performance Marketing's Most Vocal Advocates, while Small Business Trends recognized him in their 2011 Small Business Influencer initiative. In 2012 Geno has launched Affiliate Management Days, the world's first and only affiliate management conference. Besides books, he shares his knowledge through major digital marketing magazines (Website Magazine, Revenue Performance, Search Marketing Standard, Visibility Magazine, etc), blogs, conference presentations (at Affiliate Summit, a4uexpo, eMetrics Marketing Optimization Summit, PubCon, etc), and also maintains his own blog (named Best Affiliate Blog in 2010 & 2011).